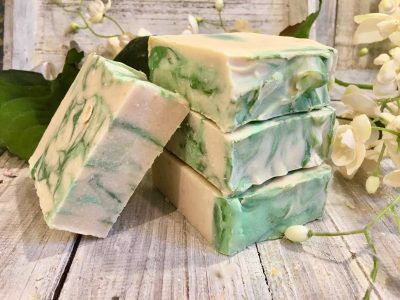 Zesty Lime Oil, Lemon Oil, and Coconut underpinned with Vanilla Bean Oil uplift the senses. 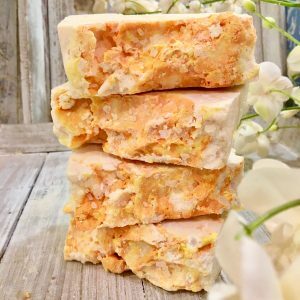 The sweet and citrus together bring remembrance of warm summers by the sea. Essential Oils, Carrier Oils, Organic Goat and Coconut Milk, and Shea Butter blend for a cleansing, ultra-creamy bar. Various greens swirl on a white background. These soaps are the best! I came upon them this past summer at a sweet little open air market in Pennsylvania! The ladies were very informative about the qualities of their soaps’ ingredients and wow were they right !!! 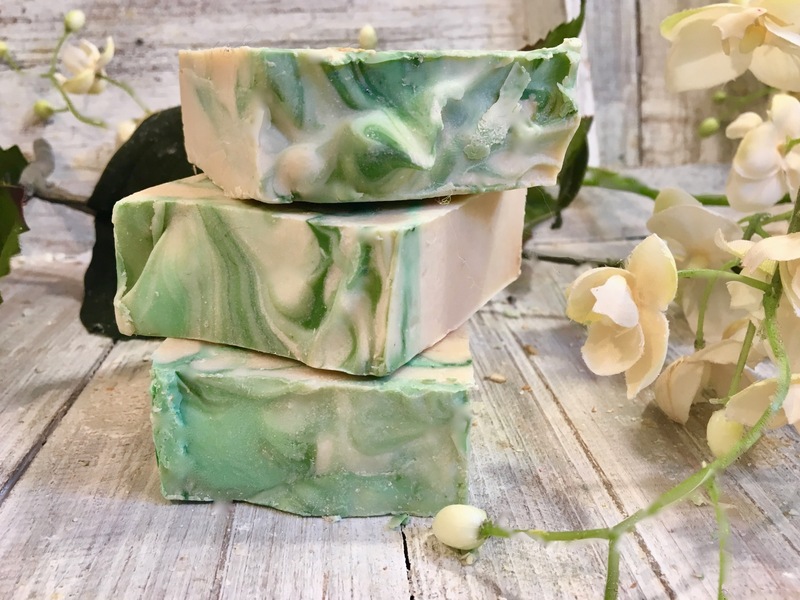 I am especially in love with their lime and coconut soap! Your skin just feels so clean and pampered after using it. 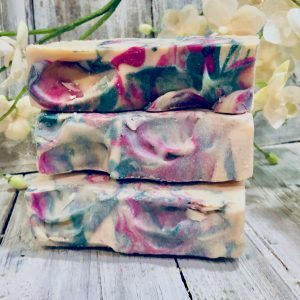 High praise from me about these soaps and my happiness about discovering these ladies and their amazing products. 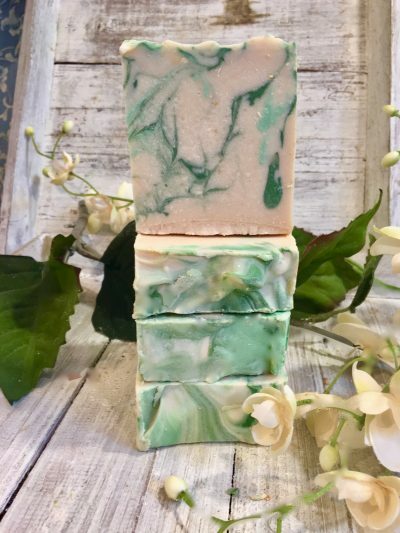 I can’t wait to use their other soaps and other items!!! 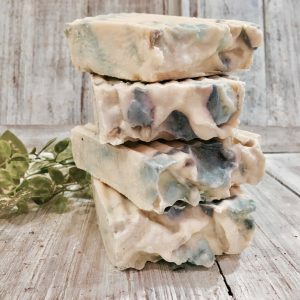 We ordered these soaps all the way in Winnipeg after trying them when a friend gave some to us and we love them! They are so soft and creamy without falling apart. This one smells really clean, the mix of lime and coconut is amazing! 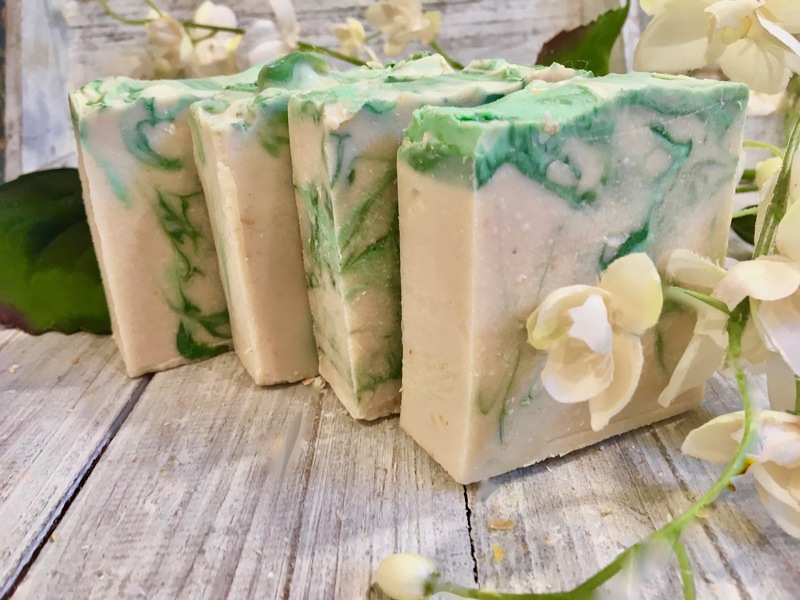 This soap is amazing and the smell of the lime and coconut is terrific!!! The goat’s milk soaps are so soft and creamy and they make your skin feel soft and refreshed. 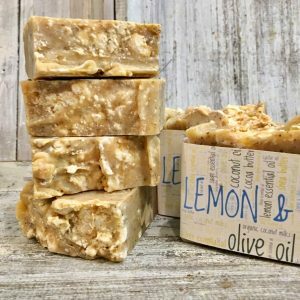 I have tried several of these soaps and would highly recommend them.